What are donations used for? Home | Participate | Donate | How to donate? IRHT is an association recognized as being of general interest and our funding is based exclusively on private donations, legacies and public supports (Conseil Régional, Conseil Départemental, Groupe Arpège, Fondation Lalance, ANR, J. Lejeune Foundation). By providing a financial support, you will be actively involved in supporting researchers and our therapeutic advances. IRHT acts through the generosity of its donors! Please contact us for more information about tax deduction of foreign donations, legacy or life insurance. All French donors benefit from tax cuts. The amount may differ according your situation especially your country. Please contact us for more information about tax deduction of foreign donations. For example, if you are a French individual, you can deduct 66% of the amount of your donations from your taxes, within the limit of 20% of the taxable income. If you are a French business, you can tax shelter 60% of your donation, whether annualized or monthly. You can donate by credit card, check, or direct debit. A tax receipt will be sent by e-mail or by post, after validation of your donation. Your regular support brings stable resources to researchers and allows them to devote more time to their work. For you, it means flexibility: you spread your support over the year. And you are free to modify or interrupt it at any time upon request to the IRHT. You can make your regular donation by SEPA direct debit order or by mail. 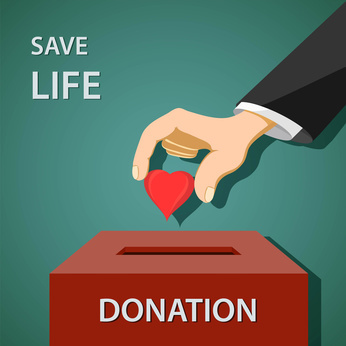 Just like the one-time donation, your gift may be deductible from your tax. If you have requested, your donation will result in the edition of a tax receipt, sent within a few days of the registration of your donation. The IRHT is allowed to receive legacies totally exempt from inheritance tax. You want to optimize the management of your estate or anticipate the settlement of your estate while supporting medical research? The IRHT benefits from all taxation exemption. Your donations to IRHT will fully benefits to the medical research without any tax levy. Contact us, and we will find together the most appropriate involvement of your group. You can take advantage of an exceptional event of your life – birthday, marriage, birth of a child, participation in your first half marathon … – to organize a collect with your loved ones. IRHT can advise and accompany you in this process. The Institute of Research in Hematology and Transplantation is a voluntary group which is officially recognized nonprofit organization. This common-interest association conducts scientific researches with the aim of healing the sick. Remain informed of our scientific progress? Thank you for your donation !